Includes 2 Ultra-Thin 1-Button Remotes: System 1 includes two chromed-metal reinforced 1-button remotes that will withstand the daily wear & tear of hanging by your keychain and provide optimum performance that get's up to 1500 feet of remote starter range. 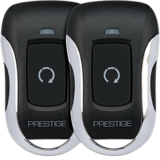 Safety 2-Press Remote Start Activation: The remote starter is activated by pressing the remote start button on the remote 2X within 3 seconds. This setting helps prevent any accidental activation that could occur with a single press activation setting. Programmable crank delay settings for Diesel engines. The system will be pre-set for you with any of the pre-set times available. Your choice of "wait-to-start" times are: 10, 15 or 20 seconds before crank to allow for proper glow-plug warming. You will be able to easily change this setting if need be after installation. Industry standard time is 15 seconds. This system has the ability to unlock the vehicle's power door locks when the vehicle is running by the remote starter. This option is only available if your F-Series has power door locks but no factory remotes or you have factory remotes that don't work when the engine is running with the keys. For Ford F-Series with Gas or Diesel Engines and Automatic Transmissions Only! Includes Step-by-Step Vehicle Specific Installation Guide: No sitting with a lap-full of "spaghetti-wire" and jumping from wiring chart to manual, trying to figure out what wires are needed (or not needed) to connect to the vehicle. Each of our VSS system's include a step-by-step, vehicle specific installation manual that indicates exactly what wire from the system connects to what wire in the vehicle, where the wire is located in the vehicle and how to confirm that you found the correct wire using the VSS kits supplied LED style test probe. 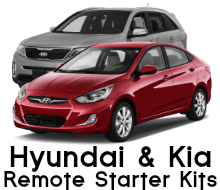 Includes Vehicle Specific NKR ("No Key Required") Bypass Interface Kit: No need to give up one of your vehicles keys (or purchase a 3rd key) in order to install a remote car starter in your vehicle like with most other remote starter kits. The NKR bypass kit included with a VSS system only requires your vehicle's keys for programming, not operation, meaning you don't have to stick one of your keys in a box! Lifetime Technical Support: Have access to some of the most qualified technicians in the industry, 7 days a week. Providing technical support since 2002, each member of our technical support staff has a minimum of 10 years of hands-on experience installing alarms, keyless entry and remote car starter systems. And with one of the largest support networks in the industry, our technicians can be directly contacted via phone, email, through our massage board, support forum and even by txt. With our wide-range of communication options, if you ever have a problem or question you can feel confident that you can easily contact someone in our technical support department. 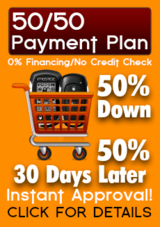 3 Year Limited Warranty: MotorCityRemotes.com will repair or replace any interior part of this system (1 year warranty on remotes) that's found to fail from manufacturer quality under normal every day use for a period of 3 years from date of delivery. Cosmetic wear is not covered, functional failures only. 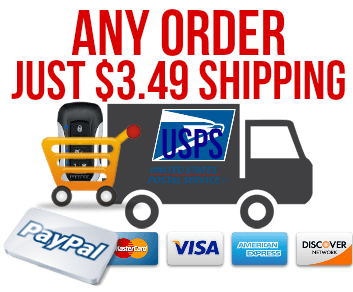 30 Day Limited Return Policy: Any purchase from MotorCityRemotes.com can be returned for a refund, exchange or store credit within 30 days from date of delivery providing the component(s) is in the exact same condition as received including original packaging (sorry, no reimbursements on shipping rates). Other than QC/Warranty issues, MotorCityRemotes.com is not responsible for any one individual's or company's inability or decision to perform any required application. A 10% vehicle specific set-up laber service fee will be deducted from all refunds. Contact a MotorCityRemotes.com representative for details or to obtain a Return Merchandise Authorization number (RMA) M-F: 9am-6pm ET Toll-Free at 1-866-244-8004. Refunds are processed within 5-10 days from the day the return is received.